Tridents, unlike the symbolic bullets, are actually real. 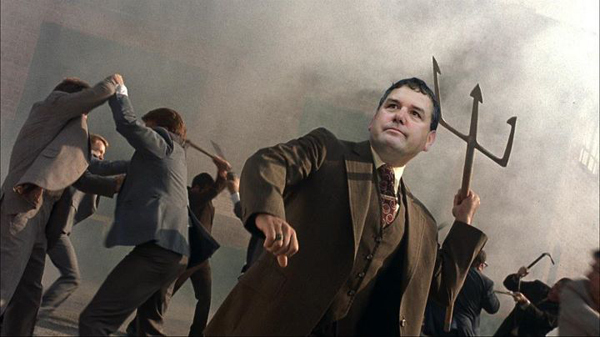 Head coach Brady Hoke recently issued each one of his players a large trident pitchfork with his name on it. The tridents now hang from the ceiling in the meeting room at Schembechler Hall. It was a move inspired by the Navy SEALs, which awards its graduates a trident pin.